UTICA, NY – Utica’s grand tradition continues; John Sullivan to carry the shillelagh. On Friday, January 25th, local contractor and businessman John Sullivan was named Grand Marshal of the 2019 Utica St. Patrick’s Day Parade. The announcement was made at the annual Halfway to the Great American Irish Festival Hooley. A lifelong Whitesboro native, John, with his company, John Sullivan and Son Construction, is the general contractor for the Irish Cultural Center, which is nearing completion in Utica’s Brewery District. A member of The Ancient Order of Hibernians, John has also been a dedicated volunteer for many years in the area, generously contributing his time as Chairperson of Mother Marianne’s West Side Soup Kitchen, devoted Perpetual Adoration at St. Joseph-St.Patrick’s Church (where he also teaches Confirmation classes), as well as being a former Pop Warner Football coach and past treasurer of Whitesboro Youth Hockey Association. Surrounded by his wife Debbie and their friends and family, John accepted the honor with equal parts reverence and humility. Sullivan is the first born of first generation in the United States — his parents hailed from County Cork and County Galway, Ireland — and being nominated as the Grand Marshal, and being Irish, is not something Sullivan takes lightly. 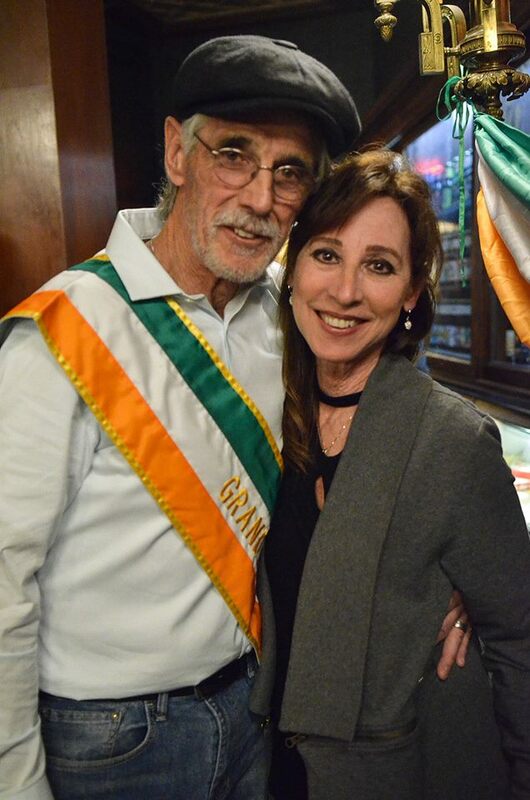 John will be feted at the Grand Marshal Reception on March 12th, where he’ll receive the ceremonial shillelagh from last year’s honoree, Judy Weeks. Besides leading the Utica St. Patrick’s Day Parade down Genesee Street on Saturday March 16th at 10 AM, John will also serve as an ambassador for the Great American Irish Festival throughout the year.